We often think of mothers as a source of love, security and support. But what about out-and-out inspiration? We asked for examples of mums whose smart advice and good examples drove their sons and daughters to success later in life. These are a few of our favourite stories. 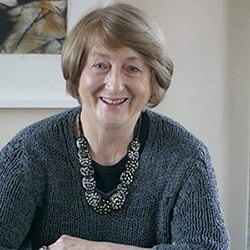 Rachel Carrell’s mother Chris may have carved out her attitude on a sheep farm in the wilds of New Zealand but the philosophy has proved itself in Rachel’s London-based business too. Rachel told us: “My mum grew up on a big sheep farm and life was pretty self-sufficient. They grew most of their own food – and ate a lot of mutton. “When things broke, they mended them. The shops were too far away and there wasn’t much spare money anyway. “My mum grew up assuming that she could grow, fix, or create just about anything. She brought up me and my sisters to think the same way. Sure enough, after having a baby and realising how hard it was to arrange great childcare, Rachel got busy. 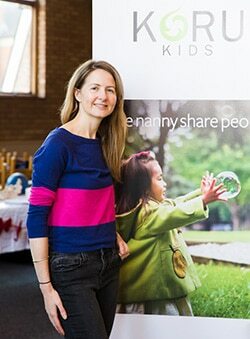 She solved the problem by founding tech-based business Koru Kids, which helps parents share their nannies. “As a startup CEO, I have to make something out of nothing most days of the week. So my mum inspires me every day, even if I don’t always stop to reflect on it,” said Rachel. If that’s not the number 8 wire mentality in action, we don’t know what is. Anne Hughes’ winning work ethic and passion for fitness has propelled her son Luke Hughes to success in life – and in business. Luke told us that his mum’s encouragement and shining example gave him the confidence to go into business as a personal trainer. Today, he owns six personal training studios and a nationwide fitness education company, Origym. “When I was growing up, sport, fitness and health were drummed into me as being very important – and equal to academic success,” he explained. “My mum is a big inspiration for how you can be the best at what you want to do if you are prepared to work hard: hard work goes further than you think. 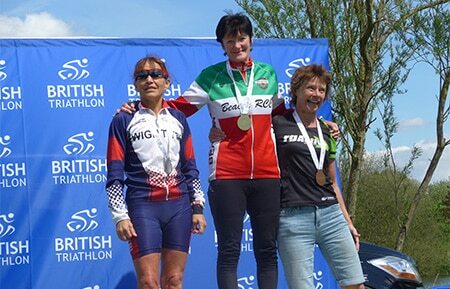 “Mum took up triathlon two years ago and is now the 2016 over 65s champion and will be representing team GB in Dusseldorf this year. That sounds like a genuine personal best to us. For Marva Williams, founder of Puriskin, inspiration comes from a trio of strong women – her mother and two grandmothers. 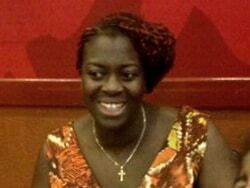 Her entrepreneurial maternal grandmother Audrey Chenay left Guyana in her 40s, to carve out a better life in England. Marva remembers her as being unfailingly supportive and encouraging. Meanwhile, Marva’s visits to her paternal grandmother, Mignon Williams, in Guyana and later America, were also having a profound effect on her life. Marva recalled: “She didn’t move to America until she was in her late 50s and she worked into her 70s to make sure she could get each and every one of her children there too. She instilled the values of hard work and family into all of us. “When I visited, she would tell me stories about her younger days in Guyana, when going to the doctor was a luxury. The stories sparked Marva’s fascination with botanicals, knowledge that was to resurface later when she set up Puriskin, a performance skincare business. “It’s not about making products for the sake of it. We want to manufacture products that do what we say they’re going to do,” she explained. Unsurprisingly, this strong influence runs even deeper in the family. Her mother, Agatha Williams, taught Marva and her two sisters that being women should present no barriers to success. She showed her daughters the value of focus and planning but also compassion, nursing her mother Audrey through dementia, rather than putting her in a home. When Marva and her sisters were young, Agatha worked as a caterer and the girls often lent a hand. That strong family work ethic has continued and Agatha has, in turn, pitched in to help with Puriskin, rolling up her sleeves to pack creams, set up for events and visit suppliers. It’s little surprise that Jennifer Hamley became an independent handbag designer, supporting stylish women, when you hear her talk enthusiastically about her mother, June Clark. 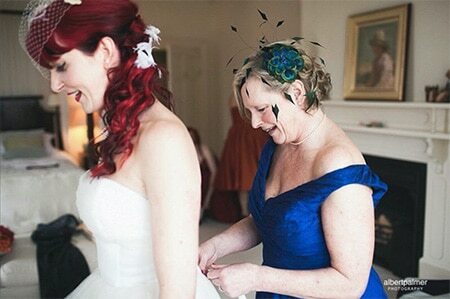 She told us, “My mum would be the mum that friends would flock to. They would come to her for advice or help with anything. 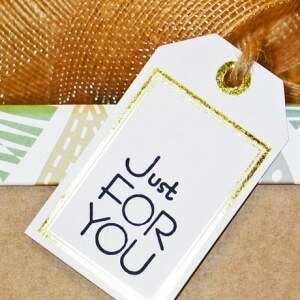 I just thought this was a regular mum trait but I soon realised that my mum was special. “She’s a problem solver, a great listener and welcoming to anyone that needs support. She’s an entertainer and a lady with an eye for what looks good – and she will tell you if it doesn’t! This way with people is something that has directly inspired Jennifer in her work. “Because of her influence, I want customers to feel respected and safe. I want each of them to feel like they are a friend and know we’ll take care of them. But June is more than just an influence. When Jennifer needed an extra pair of hands, she made the smart move of bringing her superhero mum into her eponymous business. 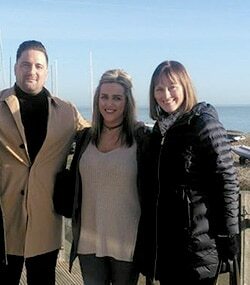 Even as a child, Rebecca Newenham knew she wanted to run her own business, just as her mother did. 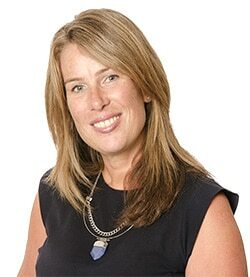 Angela Newenham managed her successful tutorial business from home, creating the perfect role model when daughter Rebecca was looking for a flexible working solution that would fit around her own three young children. “My mum was a great example and I grew up knowing that I wanted one day to run my own business, just like she did,” explained Rebecca. Six years later, Rebecca is at the helm of Get Ahead VA, with a team of 30 virtual assistants supporting small businesses and entrepreneurs. And she’s paid her mum’s philosophy forward too: the business has won awards for its flexible working approach, which supports mothers to work alongside caring for their families. For Keith White, his mum’s main piece of advice was baffling in his early days. The truth of this simple statement, however, became evident as Keith grew out of playing army with Stuart. 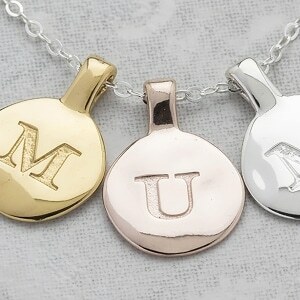 Whether it’s work, life or both, an inspirational mum is a blessing – and a best friend mum should be treasured forever.